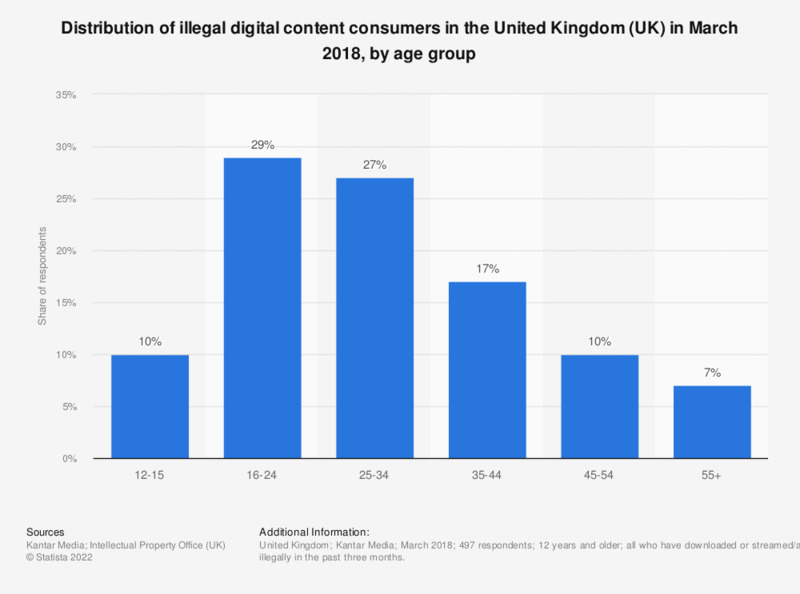 This statistic depicts the findings of a survey on the distribution of illegal digital content consumers in the United Kingdom (UK) in March 2018, by age group. During the survey period, it was found that ten percent of respondents aged between 12 and 15 years reported consuming illegal digital content. all who have downloaded or streamed/accessed any content type illegally in the past three months. Which of the following content or services have you personally used for free in the past month?